Video technologies are advancing at an astounding rate when you consider that the 1941 NTSC standard was the de jure broadcast standard in countries with 60Hz electricity for almost 70 years (although Fiji, Jamaica, and Chile are notable NTSC countries with 50Hz electricity). The story is a similar in 50Hz PAL countries too. During that time, which spans more than two human generations, the biggest improvement came in 1953 when color was added to the second NTSC standard. In the past, consumer technology lagged years behind film and broadcast technology. Today, technology available in consumer devices is helping to drive technological advances and demand in professional video production and digital filmmaking. Nowhere is this phenomenon more evident than in mobile devices, such as cell phones, phablets, and tablets, where many consumers will get their first taste of 4K. My own personal experience with resolutions higher than HD comes from my 2560x1600 Nexus 10 tablet, which has a higher display resolution than the capture resolution of my video cameras (although my Sony FS700 is “4K ready”) and my Dell 27" 2550x1440 computer monitor. Ultimately, my Samsung Galaxy S5 is my first 4K video device (technically UltraHD, or UHD) but I should note that there is a difference between UHD and 4K. Ultra High Definition has a 16:9 aspect ratio and a 3840x2160 resolution, while DCI PXW 4K (aka Cinema 4K) is closer to 17:9 with a 4096x2160 resolution. For the sake of this article, I’ll try to be as specific as possible and distinguish between these two similar resolutions where there is a technical difference but, otherwise I might refer to UHD as 4K generically. The Sony FS700R with its top-mounted LCD is not ideal for handheld shooting. 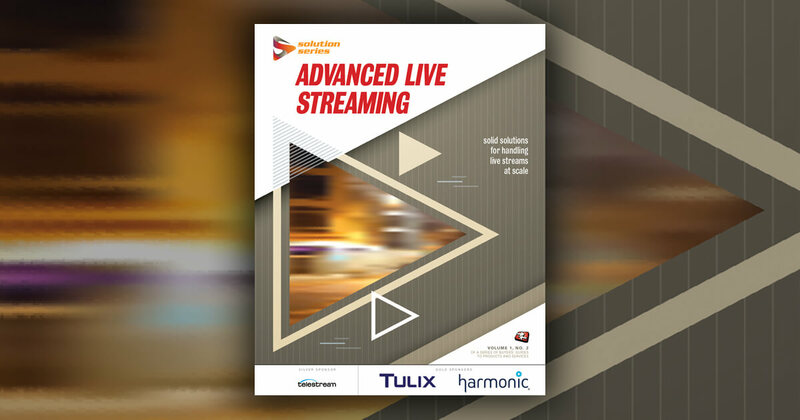 A decade ago, HTDV adoption outpaced HD content, which outpaced HD video cameras. 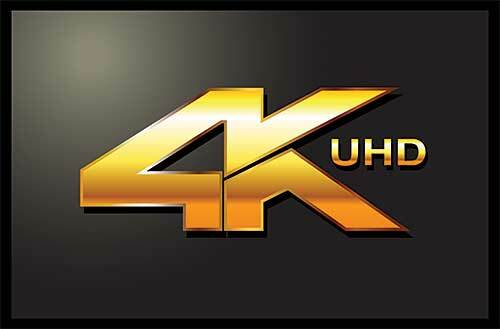 But 4K will reverse this progression order and 4K capable video device sales will outpace UltraHD TV set adoption, and instead of watching 4K over a digital cable connection and set-top box, consumers will stream 4K content to their UHDTV, UHD mobile devices, and UHD computer monitors. The April 2014 release of the UHD-capable Samsung Galaxy S5 single-handedly ensured that 4K video will become a consumer-adopted technology long before it makes it into our homes as our primary way to consume television and movies. The two previous generations of Galaxy phones sold around 40 million devices globally in 6 months, and the traditional 2-year hardware renewal cycle from those original Galaxy S3 customers will ensure similar numbers for the Ultra High Definition video-capable Galaxy S5. Unfortunately, few of these millions of consumer UHD videographers will be able to actually watch their videos in full 3840x2160 UHD (the consumer variant of 4096x2160 4K), but the demand to do so will drive down prices of UHD HDTVs, computer monitors, and tablet screens. The 15" MacBook Pro with Retina Display used to lead the mainstream resolution arms race with a 2880x1800 screen, but this changed recently when Toshiba released the new P50T 3840x2160 laptop. Editors and colorists will appreciate the it is also the world’s first to earn Technicolor Color Certification. On the professional side of 4K acquisition, the ranks of 4K video cameras have swelled with all the NAB 2014 announcements and releases. Honestly, there are so many different workflow possibilities depending on your video codec and preferred NLE that I can only scratch the surface of 4K workflows in this article, but I’ll do my best to lay the groundwork to help you research specific workflows. You might not need higher-quality lenses when filming in 4K, but that depends on the type of lens you are using and its resolving power. 4K cameras can be divided into three types: fixed prime lens, fixed zoom lens, and interchangeable lens. Fixed prime lens models, such as the wide-field-of-view and 15fps-at-4K GoPro Hero3 Black Edition, require the user to zoom by moving the camera -- an approach well-suited to POV cameras. A prime lens has fewer elements, costs less, and can out-resolve a zoom lens that covers the same focal length. It can also offer a faster F-stop, which means a shallower depth of field and better low-light performance. Fixed zoom lens models are often no different from their HD counterparts. Companies such as Sony equip 4K models with a similar form factor (including the FDR-AX1 and PXW-Z100) with the same 20x G Series zoom lens fronted by their HD counterparts (the HVR-Z5, HXR-NX5, PMW-160, HDR-AX2000, and HXR-NX3). Resolving 4K on 1/2.8" CMOS sensors with a zoom lens isn’t ideal from a resolving-power perspective, but it does offer the same functionality and conveniences of a traditional camcorder, including on-board recording. Interchangeable lens 4K video camera models typically have larger sensors. Super 35mm is the most common size, but Panasonic uses a smaller Micro Four Thirds sensor on its Lumix DMC-GH4. Contrary to popular belief, filming video in 4K does not require special higher resolution glass. 4K resolution is “only” 8-9 Megapixels, although it has a slightly different aspect ratio from traditional APSC and full-frame photography. Additionally, 4K video does not always require a full-frame lens, although that specifically depends on your sensor size. Most APSC crop-sensor lenses will fully cover a Super 35mm sensor in 4K. Having said all this, higher-quality lenses typically have a higher resolving power, and full-frame lenses typically have better edge sharpness, so professionals will typically gravitate to expensive full-frame DSLR lenses and even more expensive cinema lenses, although this will not stop manufacturers from marketing 4K lenses. I can’t understate the importance that form factor plays in 4K camera selection. And by this I mean more than just the shape and balance of the actual camera itself, which is generally the main concern with camcorders in general. Form factor considerations don’t end with the camera and lens -- you have to include all the relevant accessories, their impact on weight and center of gravity, and the size of your total rig. Any handheld video camera has to be of a form factor that you can actually handle. Camcorders are much easier to handle than their interchangeable-lens counterparts but they don’t have the same image quality due to smaller sensor and lens combinations. Many large-sensor cameras are clearly not designed to be used by hand. The Blackmagic Design Production Camera 4K is a block with no handgrip and the Sony FS700R has a top-mounted LCD screen that makes filming above your own nose level without an external monitor impossible. Both these models offer a stark ergonomic contrast to the simple DSLR-like Canon C500, but the C500 can’t record 4K in-camera, so your rig will consist of an external 4K recorder via the dual 3G SDI ports, and that nullifies any ergonomic advantage. The same goes for the newly announced 4K-resolution Sony A7s interchangeable lens video camera, which requires an Atomos Shogun connected by HDMI to record 4K. For ergonomics, the simple DSLR design of the Panasonic GH4 with its in-camera 4K recording, autofocus, and stabilization options (with supported lenses) makes it a great handheld 4K camera, although its smaller sensor size is a trade-off. The Canon 1DC is a full-frame 4K solution that can record internally while handheld, although this model uses the inefficient MJPEG codec. The just-announced Sony A7 with the Sony FE powerzoom 28-135mm f/4.0 lens, is currently under development. Fortunately, a lot of 4K video isn’t filmed by hand, which is a good thing because many operators will want to add an external monitor with a better resolution than the camera-attached LCD so they can nail critical focus, which is more important in shallow depth of field 4K work. The A7s requires the Atomos Shogun, connected via HDMI, to record 4K. I doubt that most camera operators will have to reinvent the way they film when they move to 4K, but they might need to change the way they record their footage, edit it, and then deliver it. Filming 4K with internal codecs will require a much higher bitrate than an equivalent HD codec, and this will require higher-rated media. Right now, it feels like every manufacturer has a slightly different approach to this higher-bitrate problem, but solutions include new recording media standards such as XQD, AXSM, and CFast; the RAID arraying of multiple HDDs or SSDs; and faster versions of professional mainstays such as P2 and SxS Pro cards. Using an external 4K recorder poses greater bitrate problems as lossy and even Raw codecs are used, but predictably there is a size and cost trade-off. Capacity being equal, recording media for an SSD-based solution costs a lot less than a smaller-form factor recording medium. External 4K recorders connect to the camera body via connections such as HDMI, HD-SDI, & Thunderbolt. Some cameras may require up to 3 HD-SDI connections. Get used to working with a wider variety of acquisition codecs when you move to 4K. The list includes Sony’s XAVC, MJPEG, Apple ProRes (HQ), RED R3D, AVC-Ultra 4K, uncompressed QHD/4K .dpx, and Cinema DNG files. Bitrates range dramatically depending on the frame rate and compression, which might require faster and additional computer CPU cores, faster and additional computer GPUs (graphics cards), and likely faster and/or multiple hard drives or SSDs configured in a RAID array. The easiest and most pressing upgrade is the hard drive storage, which can be accomplished with either an internal RAID card or an external RAID tower that connects to your video editing system via eSATA, USB3.0, or Thunderbolt. In a red carpet interview, Envivio's CEO talks 4K, HEVC, and why his company's cloud-based end-to-end workflow will help broadcasters get to market sooner.